We will approximate the investment cost of the infrastructure by taking into account the capacity in logical CPUs, storage devices, connectivity interconnection devices and auxiliary equipment and actual purchase values corresponding to each specific site/centre. Cross-checks with available accounting data will be performed. The financial model will be based on two pillars. 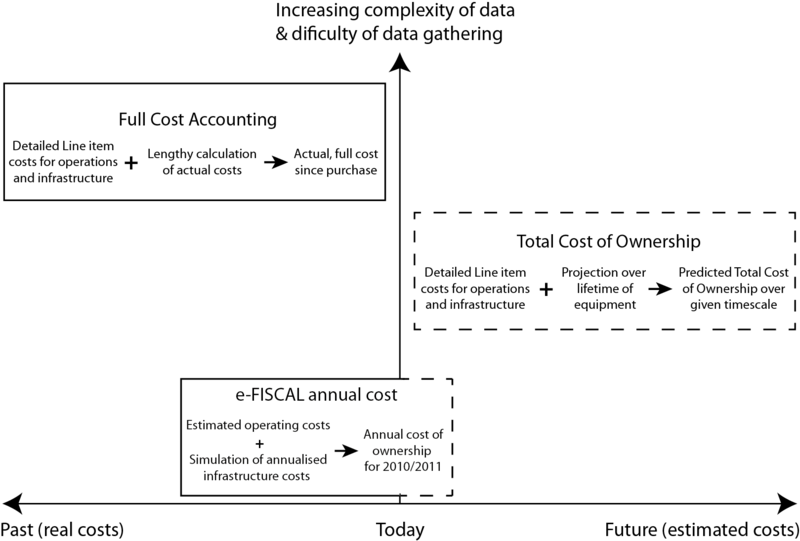 The annualized cost of the simulated physical infrastructure and the operating cost of the physical infrastructure. 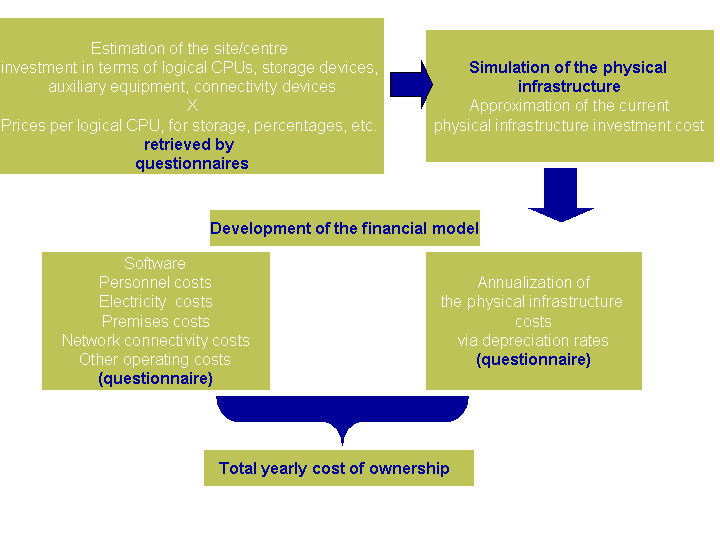 B1) Annualized cost of the simulated physical infrastructure. We will use the depreciation rates to annualize the cost of the physical infrastructure simulated in the first phase. B2) Operating cost of the physical infrastructure. This cost dimension corresponds to the yearly costs for running the site/centre. 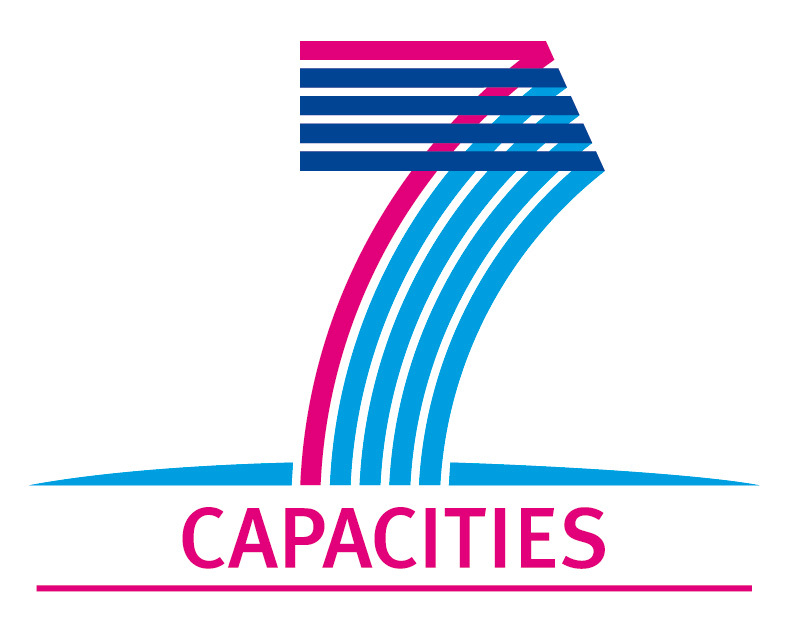 Information about the operating costs will be gathered at a cost category level (e.g. personnel costs, electricity, etc.) 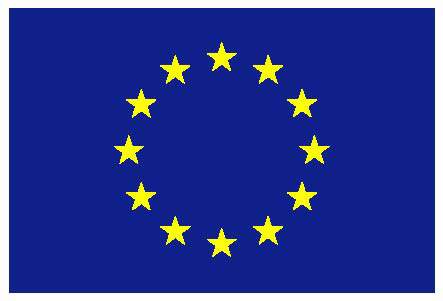 in order to permit the performance of several cost break-down analyses and economies of scale assessments. The yearly cost of ownership will be calculated for years 2010 and 2011. In all cases cross-checks with available data (from EGI, PRACE, market or other literature sources) will be performed. The financial analysis results will also be complemented by performance benchmarking efforts.